Put something near a papa bass guarding his young and you’re likely to get bit. After bass spawn, there comes a period of paternal protection when dutiful dads stand watch over clueless offspring that are vulnerable to pretty much everything with a mouth. Affectionately known as “fry guarding,” this stage in a bass’ life is marked with sky-high alert and a zero-tolerance disposition. Bluegill, crappie and other bass pose serious threats to young bass, but there’s really nothing a fry guarder wants to see near those little ones. Your job is to put something near them. Do that and you’re gonna get bit. 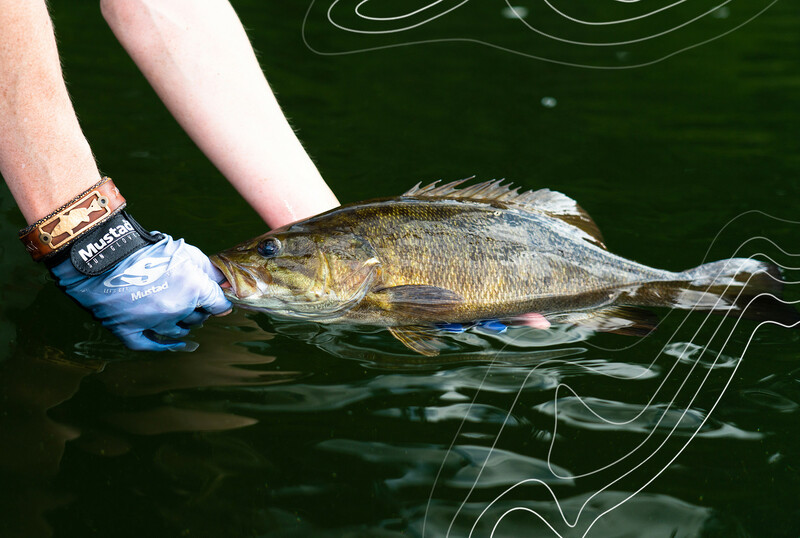 You’ll often find clouds of bass fry hiding next to docks, among laydown branches, within emergent vegetation and just about anywhere a male bass can tuck them and keep an eye on hundreds of babies. One of the classic favorites is a soft plastic stick bait wacky-rigged on a Mustad Wide Gap Weedless Wacky hook. Skipped, pitched or cast, this double-wiggle presentation won’t sit well with the guard on duty. Light penetration and a smooth surface greatly facilitate your search, so higher sun angles, calm conditions, or at least a leeward shore is what you want. 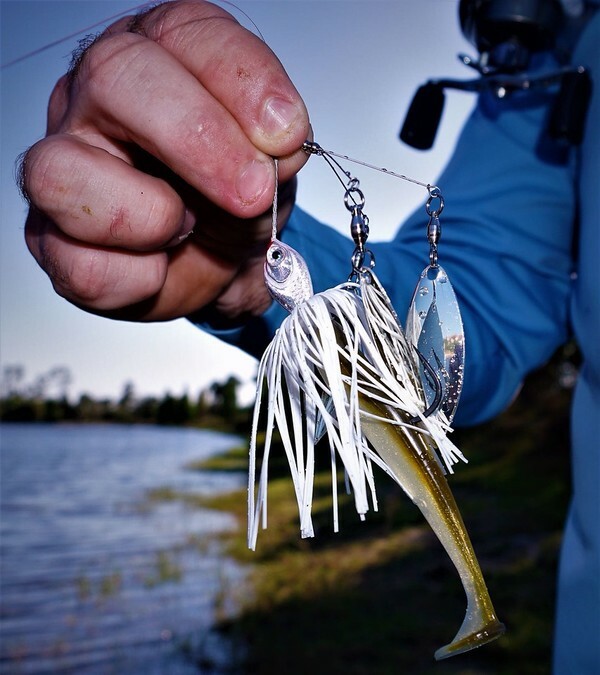 You can also Texas-rig your stick baits on a Mustad Grip-Pin Big Bite Soft Plastics Hook and fish them unweighted with more of a darting retrieve. Rigged this way, the worm casts better when you’re covering water to locate unseen fry. 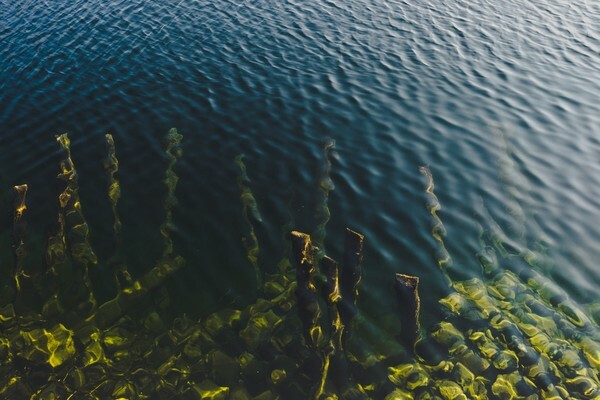 You’ll know when you encounter a pod of young bass as the water erupts with tiny showers of leaping bass — assuming the guarding male doesn’t intercept the intruder before it reaches his red zone. Jigs with creature baits and Texas-rigged lizards sporting a light bullet weight look like serious trouble to fry guarders, so keep these handy for close-range pitches. Topwater baits offer a broad category of options, starting with frogs. 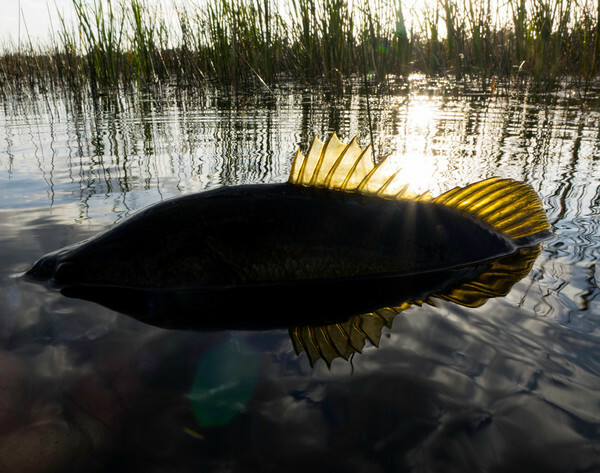 Popping versions are a good bet, as they allow you to slow down and walk the bait menacingly, or step up the intimidation with a water-spitting approach. A classic favorite: a soft plastic stick bait wacky-rigged on a Mustad Wide Gap Weedless Wacky hook. Skipped, pitched or cast, this double-wiggle presentation won’t sit well with the guard on duty. Walking baits and buzzbaits are both worth a few shots, as well. And don’t overlook the old school popper. Even a small profile bait like the Classic Pop-R creates an awful commotion in the eyes of a guarding bass. ZMan’s PopperZ offers a soft version of the venerable fry guarding bait, but don’t automatically settle for the standard wide gap hook option. That’ll nab your fish just fine if he inhales the bait, but fry guarders are often aiming to simply shoo away the intruder, in which case you may not get a solid hook-set opportunity. Rigging trick - use Mustad worm hook to thread your line through a ZMan soft plastic PopperZ, pull the line through, clip off the worm hook, tie on a 2/0 Mustad KVD round bend treble hook, pin one point in the bait’s belly and the other two will ride flush against the bait’s belly. Fry guards often stack up along a stretch of bank near the spawning grounds, so finding one could mean finding a bunch. 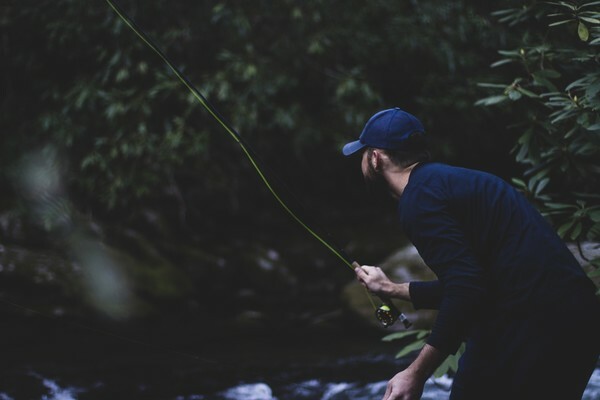 Unless you’re tournament fishing, get the guys back in the water quickly so they can get back to work protecting the ones you’ll be catching in a couple of years.